Historically, franchising has accepted EBITDA as the benchmark for establishing valuation. However, as seen over the past several years, valuations can vary widely across franchisors, franchisees, and company-owned concepts. Franchising has seen transaction multiples ranging from the low single digits up to lofty double digits. So what is the justification for this wide range in transaction multiples? What makes a buyer willing to pay 8x for one deal, but only 4x for another? In franchising, EBITDA multiples vary for several key reasons. This article explores the effects of capital expenditures (CAPEX) on franchise company valuations, and how CAPEX factors into the ultimate value a franchise owner receives in a transaction. To understand its impact on valuations and transactions, it is useful to separate CAPEX into two distinct categories. First, there is ongoing CAPEX, which involves annual, recurring reinvestments for existing operations or revenue and earnings growth. The second, which we will call immediate CAPEX, is the amount required to bring the operating assets into good working order--in the case of a franchisee, to bring the assets up to the franchisor's operating and image standards. Historically, ongoing CAPEX has had the larger effect on franchise valuations. The amount of capital used annually to reinvest in the business and/or to ensure historical levels of revenue and earnings growth plays a substantial role in the returns various investors will receive for their investment. Because EBITDA does not take this into account, the multiple applied to EBITDA usually does. Take the case of two franchise companies, each with $5 million in EBITDA. The first is a 35-unit QSR franchisee with $40 million in sales and an EBITDA margin (after G&A) of 12.5 percent. 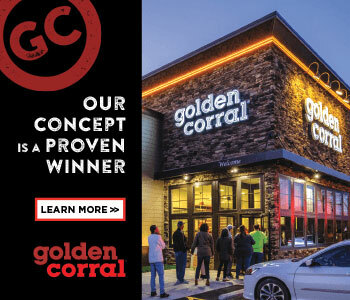 The second is a 200-unit fast casual franchisor with no company-owned units; $200 million in system-wide sales from which it collects a 5 percent royalty (equal to $10 million in revenue); and operating costs of $5 million. While both have the same EBITDA, the ROI is quite different for these two companies, in part driven by ongoing CAPEX. The QSR franchisee will generally have ongoing CAPEX equal to 1 percent to 2 percent of sales, where the franchisor will have very little. Investors consider the franchisor to be very asset-light when it comes to reinvestment, and the franchisee to be a bit more capital-intensive. As such, transactions that require less future capital will command a higher purchase price or multiple of EBITDA. To view both of these companies as having the "same value" (all else being equal) is to miss the point that CAPEX is a real financial obligation of some franchise companies and must be incorporated into any valuation multiple. Over a longer history than just the past few years, franchisors generally will trade at 6x to 8x EBITDA, whereas a franchisee will trade at 4x to 6x, in part because of CAPEX. Substantial other considerations play into these variances, such as control of brand/concept, but CAPEX is a real factor in the equation. Immediate CAPEX has less of an effect on the gross valuation of a business, but commonly can have a significant impact on the ultimate proceeds exchanged in a transaction. Immediate CAPEX generally falls into one of two categories. The first, deferred maintenance, should occur in ordinary course for items that break or must be replaced, a broken soda fountain or entry door, for example. Deferred maintenance items are usually small in dollar terms but can add up quickly if not addressed routinely. The second category, major upgrade or remodeling, is more significant in dollar terms and is required over longer periods, either because facilities are tired and/or the franchisor requires some form of renovation. A buyer commonly views deferred maintenance costs as the seller's responsibility to deliver the franchise assets in good working order before closing. In some cases, a buyer will take on the responsibility of these upgrades but deduct their cost from the purchase price. However, major upgrades or remodelings often become the subject of extensive negotiation during a transaction. Standards are clearly required to protect the brand and ensure system-wide consistency in branding, imaging, and operations. When no change of ownership is contemplated, the current business owner is clearly responsible for these improvements, but also enjoys the future benefits of today's cost. When ownership changes, the seller may be contractually obligated, but a case can be made that the buyer will enjoy the future benefits as upgrades result in sales and profitability increases. In most cases, these arguments fall on deaf ears in negotiations with buyers because the exact impact of the improvements is unknown, and may be challenging to include in the financing for a transaction. As a result, franchise operators looking to increase the value of their business are better off investing this type of CAPEX well in advance of any transaction to gain the benefits in the form of valuation and the resulting increases in cash flow before a transaction. EBITDA clearly is the benchmark for discussing and determining value in franchising. However, understanding the impact CAPEX can have on overall valuation, and the types of CAPEX that affect the net proceeds at the close of a transaction, has important implications on how to weigh the prospect of reinvestment in your business. Dean Zuccarello, CEO and founder of The Cypress Group, has more than 25 years of financial and transactional experience in mergers, acquisitions, divestitures, strategic planning, and financing in the restaurant industry. The Cypress Group is a privately owned investment bank and advisory services firm focused exclusively on the multi-unit and franchise industry for more than 17 years. Contact him at 303-680-4141 or dzuccarello@cypressgroup.biz.